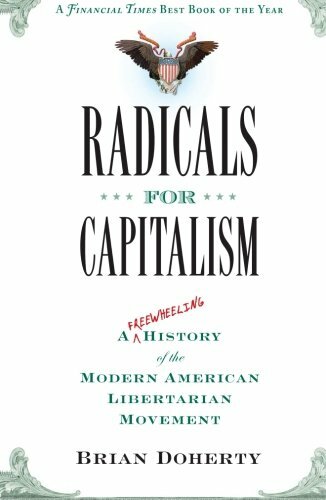 The outstanding merit of Brian Doherty’s book is that it contains a treasure trove of valuable information regarding the events, personalities, periodicals and organizations whose complex interplay influenced the intellectual and institutional development of the modern American libertarian movement. But its merit also becomes its defect in the hands of the author, who appears at times to be completely overwhelmed by the wealth of information he has collected, unable or unwilling to critically evaluate the facts and events he recounts and assimilate them into a coherent narrative. For the most part, we remain agnostic on just why the author proceeds in this manner. He may believe that such a disorganized and uncritical “freewheeling” approach is more entertaining to read. He could, for strategic reasons, be attempting to obscure his own biases or the uncomfortable conclusions that a critical analysis of his facts lead to. Or he may simply be an inept or lazy reporter. Whatever the case his method does not serve the cause of truth and historical accuracy. It is incumbent upon the historian to carefully evaluate and weigh the accuracy and truth value of the sources, especially the participants’ accounts, relating to the historical episode or epoch that he seeks to recount and explain. He is not a mere chronologist of brute facts and occurrences, but an interpretive analyst identifying and weighing the relative significance of the causes of the complex events that he weaves together into an intelligible narrative. Doherty’s discussion of Austrian economics and its relationship to the libertarian philosophy and movement appears in a section headed by the opaque and less than the literate title, “You Get Involved in It and You’re Like in the X-Files of Academics” (Doherty 2007, pp. 434–38). Approximately one-half of the section consists of a garbled and rambling soliloquy by Peter Boettke that runs on for more than two pages. This is not entirely Boettke’s fault since the passage is clearly drawn from an oral interview that should have been edited for length and clarity by the author. Moreover, Boettke may not have been aware of the author’s unorthodox reportorial style when he agreed to the interview. Its stylistic deficiencies aside, then, Boettke’s harangue is remarkably — almost willfully — misleading and inaccurate. Doherty (2007, p. 423) appeals to Boettke’s authority as “editor of the most thorough guidebook to modern economics, The Elgar Companion to Austrian Economics.” Doherty (2007, p. 435) relinquishes his interpretive role as a historian by solemnly averring, without discussion, that Boettke “understands the sociological realities that created a connection between the Austrian economic approach and libertarian political philosophy.” Boettke’s unedited monolog is then cut and pasted into the text immediately thereafter. Let us try to disentangle and enumerate Boettke’s four main points, present a critical evaluation of each, and then reconstruct a coherent explanation based on material presented elsewhere in the book in which at least some of his points attain a limited validity. First, Boettke asserts, Austrians are interested first and foremost in conducting research in methodology. They are also interested in the history of economic thought and comparative economic systems, although he does not explain whether their interest in these fields is capricious or somehow linked to their overriding interest in methodology. In any case, Boettke emphatically concludes, “The things that Austrians care about aren’t valued” by the mainstream economics profession (Doherty 2007, p.435; emphases in the original). Second, Boettke alleges, “It’s hard to find talk of public finance in Austrian economics.” As a result of their libertarianism, and in contrast to mainstream economists, Austrians share a “normative revulsion” against studying public finance, in the same way, they would be revolted by “studying the books of the Mafia” (Doherty 2007, p. 435). Third, Murray Rothbard “tried to demonstrate a causal connection [of libertarianism] with Austrian economics” (Doherty 2007, p. 436). The fourth and last point may apply to academic Austrian economists or to lay enthusiasts of Austrian economics or to both — it is difficult to tell because Boettke does not name particular individuals and declaims in vague and loose generalities. Anyway, Austrians tend to see the world as divided into “stupid people, evil people, and people who agree with [them],” with the stupid and the evil forming an overarching X-Files-like conspiracy to squelch Austrian economics and preclude Austrians from ever getting their due in mainstream academia. “The first thing you have to learn,” Boettke sternly instructs these nameless conspiracy theorists, “is that there are lots of brilliant, kind-hearted people who just disagree with you” (Doherty 2007, p. 437). So these are the “sociological realities” conditioning the Austrian resurgence according to Boettke and, by default, Doherty. Where to begin? Since all of these points are stated as glib aperçus without the support of any empirical evidence or systematic argumentation, we may as well take them in the order of the degree to which they falsify reality. Normativity Power and Market (LvMI) Murray N. Rothbard Check Amazon for Pricing. Boettke’s claim that Rothbard sought to establish a “causal connection” between libertarianism and Austrian economics is preposterous and most charitably characterized as based on sheer ignorance. Moreover, in the absence of further elaboration that is not forthcoming, the claim as stated is empty, for what does it mean to specify a causal connection between two different disciplines like Austrian economics and libertarian political philosophy? Nor does Boettke reveal which discipline Rothbard is supposed to have taken as cause and which as an effect. Granting the most plausible interpretation of Boettke’s claim, namely, that Rothbard argued that Austrian economics scientifically proves that a libertarian political order is socially optimal, even someone with only passing familiarity with Rothbard’s main methodological writings would recognize it as a patent falsehood. Indeed, Rothbard emphatically argued that economics is a strictly value-free science and the economist qua economist is therefore precluded from offering any policy recommendations whatever. The economist may, of course, advocate policy but only after he has explicitly stated a coherent ethical system from which his value judgments emanate. [E]conomics per se is shot through with value-loaded assumptions, usually implicit, which then emerge as political conclusions and recommendations. It is my contention that this procedure is illegitimate and unscientific, and that it is incumbent on economic theory to purge itself of all vestiges of the unsupported value judgment. As a science, economics can and should stand apart from such value judgments. It must be emphasized that if ethics is a rational and demonstrable discipline, it is self-subsistent, that is, its principles are arrived at apart from economics…. [T]he applied economist would then have to take this ethical system and add it to his economic knowledge to arrive at policy conclusions and recommendations. But in that case it is incumbent upon the applied economist to state his ethical system fully and with supporting argument; whatever he does, he must not slip value judgments, ad hoc, unanalyzed, and unsupported, into the body of his economic theory or into his policy conclusions. 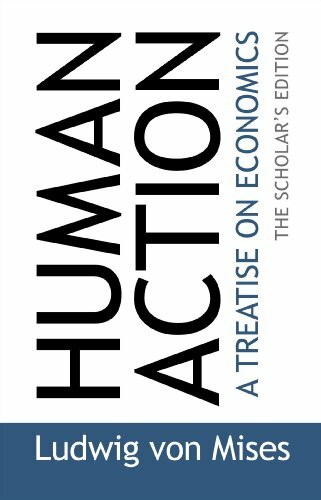 [W]hile praxeological economic theory is extremely useful for providing data and knowledge for framing economic policy, it cannot be sufficient by itself to enable the economist to make any value pronouncements or to advocate any public policy whatsoever. 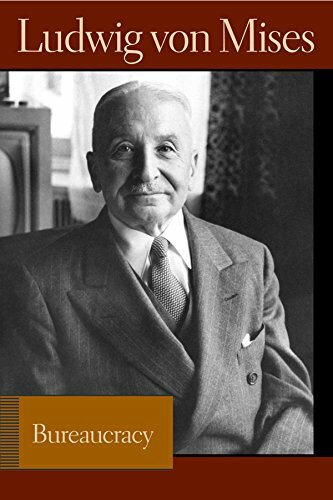 More specifically, Ludwig von Mises to the contrary notwithstanding, neither praxeological economics nor Mises’s utilitarian liberalism is sufficient to make the case for laissez-faire and the free market. To make such a case, one must go beyond economics and utilitarianism to establish an objective ethics…. Economics does not allow of any breaking up into special branches. It invariably deals with the interconnectedness of all the phenomena of action. The catallactic problems cannot become visible if one deals with each branch of production separately. It is impossible to study labor and wages without studying implicitly commodity prices, interest rates, profit and loss, money and credit, and all the other major problems. The real problems of the determination of wage rates cannot even be touched in a course on labor. There are no such things as “economics of labor” or “economics of agriculture.” There is only one coherent body of economics. This is not to say that Austrian economists do not divide up economics for analytical purposes. However, these divisions are not arbitrarily drawn but determined by variations in the concrete conditions of action (real or imagined) under analysis. Thus there is Crusoe economics or “autistic exchange” dealing with the actions of the isolated individual; barter economics or direct exchange, which takes place without the intervention of a medium of exchange and the benefit of economic calculation; and indirect exchange or “catallactics,” the economics of the market economy using monetary calculation. 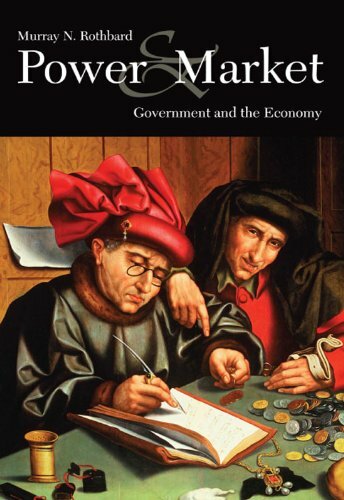 The analysis of the latter is further subdivided into the categories of an “unhampered” or pure market economy without government and that of a “hampered” market economy subject to government interventionism. Finally, we have the economics of socialism in which we imagine that all nonhuman productive resources in a closed economy are collectively owned and controlled and in which only a single will, that of the central planner or planners, acts. Despite these divisions, however, the theorems applicable in each are unified into a single system by the fact that they are all derived through the logic of action applied to a variety of specific conditions, real or imagined. However, no one with the slightest acquaintance with Austrian economics would deny that Austrian economists have written a great deal about the nature and consequences of government spending, deficits, and taxation. It is simply that topics conventionally treated under the rubric of “public finance” do not merit a separate analytical division within Austrian economics because a collective good is an empty concept that does not refer to the concrete conditions of action in the world we inhabit. As a result, from the standpoint of Austrian economics, taxation and government resource-using activities are on all fours with other types of government intervention and are therefore dealt with in the theory of interventionism. In fact, far from having a “revulsion,” normative or otherwise, against “talking about technical public economics issues,” we might say that Austrians positively revel in detailed analysis of the enormous economic losses and distortions caused by the largest and most visible form of government intervention — the financing and sustaining of the State’s own existence. Thus, in Power and Market, Rothbard (2004, pp. 1,047–369) provides a meticulous and highly technical analysis of the multitude of inefficiencies resulting from the various forms of taxation and government expenditures, devoting more than twice the space to these two topics (146 pages) than to the other twenty forms of government intervention he analyzes combined (72 pages). This leads us to an evaluation of Boettke’s broader claim that Austrians are mainly or even exclusively interested in doing research in methodology and related fields. Even a cursory inspection of the publication records of Austrian economists who came of age during the modern revival of the Austrian School reveals this allegation to have utterly no foundation in fact. For reasons that will become apparent below, we restrict our survey sample to Austrians who did not receive their doctorate from George Mason University but were trained in standard Ph.D. programs. Roger Garrison (Ph.D. University of Virginia) wrote one article on Mises’s method while publishing widely in mainstream and Austrian journals in monetary, capital, and business-cycle theory. Garrison is perhaps the leading Austrian macro theorist and has published the first book devoted solely to Austrian macroeconomic theory in the post-World War Two era. Early in his career Mario Rizzo (Ph.D., University of Chicago) wrote an article on the methodological deficiencies of econometrics, but went on to become a noted scholar in the discipline of law and economics. Of his twelve books and 100 articles in academic and professional journals, Randall Holcombe (Ph. D., Virginia Tech) has published only one book on methodology, concentrating his research and publishing in the broad area of Public Choice–style political economy. Lawrence H. White (PhD, UCLA), perhaps the leading free-banking theorist in the profession currently, published a single pamphlet purely on methodology while an undergraduate at Harvard and has focused in his subsequent books and articles mainly on monetary theory and policy, financial institutions and monetary history, with an occasional foray into the history of monetary thought. Many of White’s articles have been published in mainstream economic journals. George Selgin (Ph.D., NYU) published one article on methodology as a graduate student but moved on to pursue a prolific research program in monetary theory and history. William Butos (Ph.D., Penn State University) has concentrated his research on macroeconomic themes, the role of knowledge and expectations in economic theory and, lately, the economics of science. John Cochran (Ph.D., University of Colorado-Boulder) has published a number of articles on macroeconomic and monetary themes and co-authored a book on the Hayek-Keynes debate, a single chapter of which is devoted to the methodology of business-cycle research. Tom DiLorenzo (Ph.D. Virginia Tech) has published numerous books and articles on an amazingly broad range of topics, but not one devoted to methodology. Peter Klein (PhD, University of California), Mark Thornton (PhD, Auburn University), and John Egger (PhD, New York University) have not published a single article on pure methodology, specializing in the areas of economics of organization, economic policy and history, and microeconomic and monetary theory, respectively. The list could go on but the conclusion would not change: Contrary to Boettke’s claim, no academic Austrian economist who enrolled in a standard Ph.D. program after the Austrian revival chose to specialize in methodology or even to write much about it. Now onto Boettke’s charge that Austrian economists are somehow responsible for promoting a conspiratorial view according to which the world is divided into the stupid, the evil, and those who agree with Austrian economics. Even casual empirical investigation reveals that this is most certainly not one of the “sociological realities” molding the Austrian movement but rather a thoughtless smear — at least when applied to those Austrian economists with orthodox professional training. The names of those professors who either directly influenced you or whom you respected because of their general erudition, the high quality of their scholarly output, or their pedagogical skills (or for any other reason). The replies to this request from the thirteen respondents above contained lists of from two to eight names and every number in between. The economists listed included, inter alia and in no particular order the following names: Gary Becker; Jacob Mincer; Phillip Cagan; Jagdish Bhagwati; Donald Dewey; William Vickery; Bill Landes; Fritz Machlup; Samuel Goldfeld; Henry Briefs; Fred Glahe; Tracy Mott; James Buchanan; Leland B. Yeager; William Breit, Kenneth Elzinga; Frank Steindl; Joseph Jadlow; J. Ronnie Davis; Gordon Tullock; Warren E. Weber; Richard E. Wagner; William A. Darity; Oliver Williamson; George Akerlof; Christina Romer; Barry Eichengreen; Erik Furubotn; Robert Ekelund; Robert Hebert; Armen Alchian; Harold Demsetz; Jack Hirshliefer; Axel Leijonhufvud; and J. Huston McCulloch. These economists run the gamut from Post-Keynesian to Public Choice and more traditional Chicago-trained economists. One respondent, who listed eight influential professors, noted that they “all were disdainful” of Austrian economics. Another, who enumerated four, indicated that there was “some sympathy for Austrian economics, some tolerance, and some disdain.” No respondent dismissed his professors as stupid or evil en bloc or, needless to say, portrayed them as part of some gigantic anti-Austrian conspiracy. But even the information he did succeed in drawing from the interested and narrow set of sources he consulted should have sufficed to allow Doherty to formulate a highly instructive narrative of the development of at least one segment of the Austrian movement. If he had done this, then Boettke’s claims would have been placed in a context in which they were rendered intelligible and even attained a restricted validity. Apparently, Doherty’s powers of critical analysis and creative synthesis were not equal to the task. If we perform this task for Doherty, limiting ourselves strictly to the information presented in his book, we gain an important insight into the crucial role of property and institutions in the creation and shaping of an intellectual movement. He doesn’t reach you with the technical aspects, but with the ideological aspects. Sennholz explained the welfare state as this giant circle with all of our hands in our neighbors’ pockets. This was 15 years ago and I can still remember it. How many people with one lecture 15 years ago can make you still remember that lecture? Boettke also remarked, “Sennholz could get you hyped up on your ability to walk through fire for the truth” (Doherty 2007, p. 423). Now all this says more about the young protégé’s state of mind than it does about his master. It is a short step from this attitude to the belief that one’s mentor has been unfairly marginalized in a small Christian liberal arts college and denied a position at a major research university by those who are either incapable of seeing the truth (“the stupid”) or willfully deny it (“the evil”). Boettke’s “us against them” mentality was carried over to graduate school at George Mason University, which had just introduced a heterodox Ph.D. program in economics. At the time (1982) the university was about ten years removed from community college status and was considered an academic backwater. He [Fink] used an analogy with the civil rights movement: Before we just wanted to be let on the bus and not raise a ruckus. Now we’re gonna [sic] be like Malcolm X, Austrian and proud. In your face with Austrian economics. Rich would get you hyped up about this stuff. We were coming from a non-top-ranked school and had this [Austrian] label on our heads, so we had to outcompete other people. When I was a kid I wasn’t intellectual, but as a basketball player I was competitive. Sennholz and Fink made these appeals that fed into my psyche: We’ll form this team and go out and beat ’em! [Emphasis added]. Had Doherty inspected Boettke’s curriculum vitae and compared it to those Austrians with orthodox training surveyed above, he would have found that Boettke, in the last six years alone, published more articles on methodological topics, broadly construed, than all of these latter economists combined had published in their careers. A cursory inspection of Boettke’s c.v. going back only to 2000 shows at least thirteen articles talking about or instructing others on how to do economics. We conclude then that Boettke II’s portrayal of post revival Austrian economics, to the extent that it is accurate at all, is based on his own earlier attitudes and hermeneutical research program. But then we are left with a bit of a mystery. What accounts for Boettke’s change of heart — the dim view he now takes of methodological work by others and his sermonizing against his own earlier posture as the oppressed victim of a conspiratorial mainstream economics profession? Predictably, Doherty takes Boettke at his word and does not probe deeper for the explanation of Boettke’s metamorphosis from a narrow-minded and intolerant antineoclassical cultist to a mellowed-out, open-minded eclectic, eager to learn “tremendous things” from non-Austrians of all stripes.6 Rather than trying to render Boettke’s intellectual odyssey intelligible, however, Doherty rests content with the observation that other IHS Young Turks, namely, current GMU economists Tyler Cowen and Dan Klein, experienced similar Pauline conversions. But this does not ring true. Generally, after their minds have been molded by the rigors of graduate school, few academics undergo fundamental changes in their world view and their research program that are driven purely internally by a spontaneous alteration in their subjective value scales. When such radical changes do occur, they are usually induced by a restructuring of external incentives, generally pecuniary. If we’re going to give a lot of money, we’ll make darn sure they spend it in a way that goes along with our intent. And it they make a wrong turn and start doing things we don’t agree with we withdraw funding. We do exert that kind of control. So here we have the mystery of Boettke’s strange intellectual odyssey unraveled — the transformation of Boettke I to Boettke II. By critically analyzing and synthesizing the information haphazardly scattered throughout Doherty’s book, one can reasonably surmise that Boettke’s intellectual volte-face was a rational and deliberate response to the shift in the strategic vision of the Kochs. As the orbit of “Planet Koch” goes, so go its satellites. Boettke’s critique of the Austrian economics movement, so credulously reported by Doherty, turns out to be directed at the attitudes and modes of thought associated with the ruins of a failed strategy in which Boettke himself was a central player. In other words, Boettke II is criticizing Boettke I. Hence Boettke’s warnings and animadversions are completely irrelevant to the mainline Austrian economics movement as represented by the numerous Austrian economists who learned from and rubbed shoulders with neoclassical professors and grad students in standard Ph.D. programs. It is truly an amazing effort of intellect and of love. I can’t say enough good things about the book. This will sound a little funny, but what I liked most about the book was how little I learned from it. (NB: most readers won’t have this same reaction, but I knew personally most of the people covered.) It felt like reading about me. On a few pages it was reading about me. The book got just about everything right. Indeed it did. It got things exactly right — when seasoned with a pinch of interpretive analysis. 1.On this point see also the important article by Gael J. Campan (1999). 2.Of the aforementioned economists only Rizzo and White are cited, and then only in the author’s brief account of the development of the NYU Austrian program (Doherty 2007, p. 429). 3.For a brief discussion of these contributions, see Salerno 2003. 4.For accounts and critiques of this project see Rothbard 1997d and Gordon 1986. 5.“IHS” is the Institute for Humane Studies, a libertarian think tank intimately associated with the GMU graduate economics program and a source of outside funding for some of the Austrian graduate students. 6.Of course, the mundane Austrians cited above have been steeped in orthodox economics since their graduate school days and have since remained conversant with the mainstream literature and continued to learn from non-Austrians as a means of pursuing their various research programs in economic theory and policy. 7.Doherty does not actually specify Fink as the longtime Koch lieutenant but the context and content of the passage makes it clear that that is whom he is referring to. 8.In fact, Cowen received only an undergraduate degree at GMU and then went on to Harvard to earn his Ph.D.